Once established, most evergreen shrubs are fairly low maintenance and need little or no regular pruning. 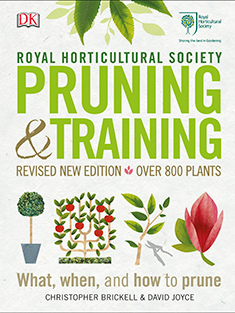 Pruning, when required, is generally carried out in mid to late spring. Such plants fall into RHS Pruning groups 8, 9 and 10. This advice is suitable for evergreen shrubs (retaining their leaves in winter). Many small shrubs such as lavender, and heathers (Calluna, Erica) are generally short-lived and will need replacing after 10 years or so. These shrubs flower on new wood, so pruning these plants annually will improve flowering and extend their life and prevent them from becoming too woody. Larger shrubs, such as rhododendrons, generally require very little pruning, except for the removal of unhealthy, dead, diseased and damaged shoots. Likewise, slow-growing shrubs also require little or no regular pruning, except the removal of unhealthy shoots in mid-spring. Formal shrubs can be clipped as for hedges. Evergreens that are still flowering or about to flower in mid-spring can be left until flowering has finished. Hedges may have specific pruning times. When pruning any evergreen shrub (except old, overgrown shrubs, see below), aim to remove about one-third of older wood in total. Timing: Prune immediately after flowering. Examples: Berberis, box (Buxus), Camellia, Ceanothus, Choisya, Daphne, Hypericum, laurel (Prunus laurocerasus and Prunus lusitanica), Mahonia, Pieris, Azalea (Rhododendron), Rhododendron, Viburnum tinus. Pruning: Winter, spring and early summer-flowering evergreens such as Rhododendron and Camellia are best left unpruned except for removal of unsightly shoots and deadheading, unless some shaping is required. Do this by lightly cutting back shoots after flowering. Deadheading and removal of dead, damaged and diseased growth can be done at the same time. Exceptions: Certain evergreen shrubs require a harder prune to increase flowering or to maintain their attractive shape. Examples include groundcover such as Mahonia aquifolium and Hypericum calycinum which look best sheared over in spring. Deciduous Viburnum - whether winter, spring or summer flowering - also fall within pruning group 8 and can be lightly pruned after flowering unless berries are required. Those shrubs recommended for hedges, topiary or foliage often require regular trimming and tolerate heavier pruning. Timing: Prune mid- to late spring. Pruning: This group of evergreen shrubs bloom in summer and late autumn on the previous or current year's growth. They need little pruning. Prune lightly removing unsightly shoots as required. Those shrubs recommended for hedges, topiary or foliage often require regular trimming and tolerate heavier pruning. Timing: Prune immediately after flowering where flowering is on the previous year's growth, or in the subsequent early to mid-spring if flowering is on the current year's growth. Examples: Bouvardia, heather (Calluna), Erica, Helianthemum, Hyssopus, Lavandula, Ruta, Santolina, Thymus, gorse (Ulex). Pruning: This group of evergreen shrubs flower on the previous year's growth in spring or early summer, or on the current year's growth in late summer and autumn. Remove shoots that have flowered to within 1.5-2.5cm (¾-1in) of the previous year's growth. Exceptions: Certain deciduous shrubs such as Potentilla fruticosa and Ceratostigma willmotianum also fall within this pruning group. If you inherit a garden full of neglected shrubs or have a plant that is overgrown and choked with branches, you can try to rejuvenate it by pruning. Some shrubs can be severely pruned just as growth begins in mid-spring. Spotted laurel (Aucuba), box (Buxus), camellias, Choisya, Euonymus, hollies, Pieris, laurels (Prunus laurocerasus and Prunus lusitanica), Viburnum tinus and yew all tolerate severe pruning to near ground level. Other evergreens are often best renovated over several years, removing one-third to half of shoots to ground level, and reducing all other shoots by one-third in the first year. Over the next couple of years, each year remove half of the older shoots to ground level. Following renovation apply a general-purpose fertiliser and mulch and avoid drought stress in the following season. While pruning, you may notice signs of the following diseases; bacterial canker, bracket fungi, coral spot and verticillium wilt. Non-flowering may be due to incorrect pruning but there are a number of other causes.